Searching for your perfect property is both an exciting and anxiety-inducing adventure. With so many things on our plates, its no wonder that furnished apartments and homes have become increasingly popular in recent years. While a furnished rental or purchase is convenient and incredibly economical, some renters/buyers feel it is a bit impersonal. If you're in love with a property but not married to any of its furnishings, don't let that deter you. We've complied some simple, cost-conscious ways you can make your new furnished property uniquely yours. Personal Mementos - Make your furnished rental feel like home by incorporating photographs of friends and family. Create a picture collage on a bare wall of your favorite artwork, or of images that inspire you. Invest in some smaller, decorative items to place throughout your rental, giving each room a touch of your own flare. Introduce Color - More often than not, furnished units are decorated with neutral colors and lack a true theme or identity. To make the space feel more personal, bring in pops of color wherever you can. An easy way to accomplish this is through decorative, funky pillows, or a bright, patterned area rug. Don't be afraid to swap out certain items during your tenancy. If you hate the bedspread, store it the hall closet and purchase one you love. If you hate the tired, maroon-colored futon, simply buy a new cover in a style and color you like. Fake it Till You Make It - Plants and flowers are perfect decorative items to give your rental some flare. Fake plants are available in all shapes, sizes and colors, and require absolutely no upkeep. These potted wonders are ideal for those who travel frequently, or those who lack the genetic "green thumb." For potential homebuyers, furnished properties have upsides and downsides. 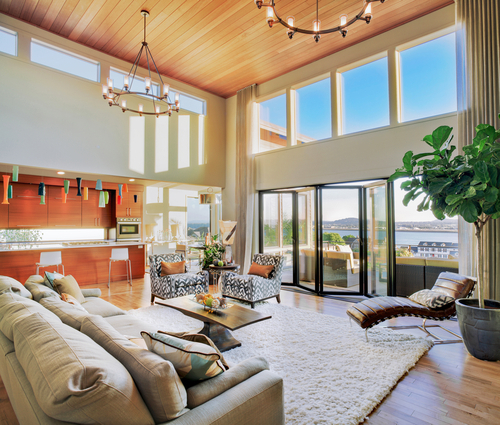 While you'll save thousands of dollars in furnishings, money you can either save or devote to a special home project, you may not be thrilled with every item, or the price tag that comes with it. Try to negotiate with the sellers on items you love vs. items you're indifferent to. Musical Chairs - Naturally integrate some of your own furnishings with that of the previous owner. Mix and match items, and move things around until you find a setup that suits your needs. Just because the home was staged a certain way doesn't mean you have to keep it that way. Remember that things don't have to match, they just have to go well together. Color Makeovers - Spice things up and paint your walls. You can start small and focus on one room or you can rethink your entire color palette. Explore options like removable wallpaper to achieve a truly customized aesthetic, or to give a room a much needed punch. Explore crown molding or replace your current baseboards to give your home that polished look. Host a Garage Sale - If, at the end of the day, you're left with some items you just can't stand, host your own garage sale. This is the perfect way to earn some additional cash and will also give you the opportunity to meet your new neighbors. When we move, whether it’s for a better job, to be closer to family, or so our children can attend better schools, there is an awful lot that goes into the planning. The process of transferring utilities, schools and jobs, along with the overwhelming logistics associated with move itself are the reasons why moving is one of the most stressful experiences in a person’s life. The last thing a person needs is to add to the stress by getting involved in an accident during the move. Fortunately, there are steps you can take before and after the accident that can help you mitigate some of the stress, and get you back on the road to your new home. Obviously, no one ever anticipates getting involved in an accident, but it’s important to be as prepared as possible, especially during the course of the move. Hiring a professional moving company is ideal, but if you plan on renting a truck and driving it yourself, don’t skimp on the additional insurance. Moving trucks are significantly larger than passenger vehicles and trucks, and most people simply don’t have the experience and comfort levels necessary to drive them as safely as they do their own cars. Even before you rent the truck, however, consider the transit part of the process when evaluating how to properly and safely pack for the move. By packing right in the first place, you will protect your belongings and, should you get into an accident, your possessions have a better chance of coming out undamaged. Finally, speak with the moving company or the truck rental company (if you do it yourself) about their policy regarding accidents. Reputable companies will have information in writing and will take time to clearly explain their policies. That way, there will be no question about what to expect should you get involved in an accident. If you find yourself in the unfortunate position of getting involved in an accident while driving a rental truck, call the police and then the truck rental company once you’ve assessed injuries and secured your safety. If you hired a moving company, they will notify you of the accident immediately. Read the literature they initially provided to you, and follow their recommendations regarding how to proceed. If you, or alternatively, the moving company, weren’t at fault, you’ll need to get an idea of what your claim is worth. It’s difficult to put a price tag on a household full of belongings, not to mention pain and suffering, so it is wise to seek legal advice. That way, you can be sure you’ll be fairly compensated. Moving is stressful enough without having to deal with the fallout from an accident. Preparing ahead of time, and knowing what to do and what to expect should you get involved in an accident will go a long way in facilitating a speedy resolution. That way, you can get back to the task of settling in to your new place. Welcome home! Whether you're moving across the country or across town, moving is always a little bit daunting -- and packing is often the hardest part. But with the right preparation, it doesn't have to be. By getting organized, packing carefully and avoiding rookie mistakes, you can be sure that your belongings will arrive intact -- along with your sanity. For anything breakable, pack the bottom of the box with a thick layer of paper. Be sure to stuff it into the corners. Choose the right boxes for the right items. Heavier items -- like books and tools -- should go in smaller boxes. Lighter items -- like towels and clothes -- can go in big boxes. Don't leave unnecessary space at the top of boxes -- they could collapse when stacked. Avoid mixing items from different rooms in different boxes. It will make unpacking a lot easier. Once you've filled and taped up your box securely, immediately label it clearly -- before you forget what's inside! Pack your clothes in suitcases, laundry hampers, baskets and any other carriers you have around the house. Save money on bubble wrap by using towels, washcloths and even clothes to pack breakable items like glasses and dishware. A home inventory is a smart thing to have for insurance purposes whether you're moving or not, but it just so happens that moving is a great time to put one together if you haven't already. As you pack your belongings, make a list of your most valuable items, and photograph them as well. This will protect your belongings in case of accident or theft. Do you consider yourself a packing pro? 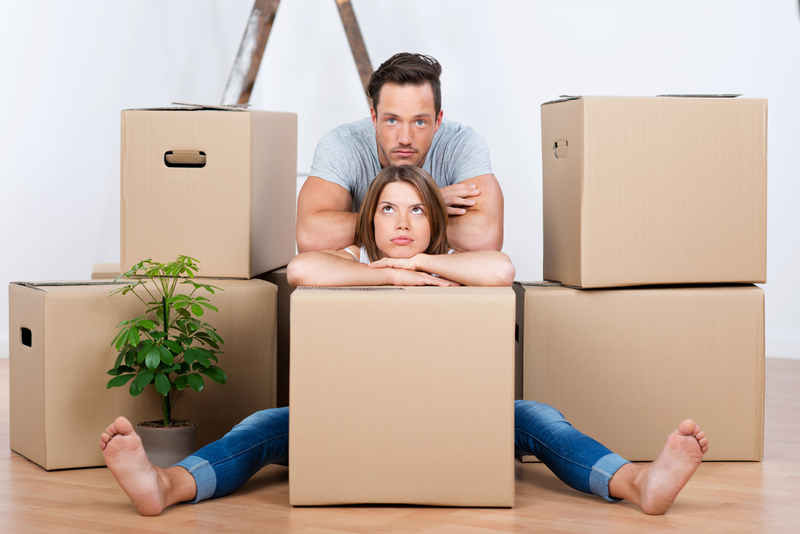 If you have additional advice for easing the moving process, please leave a comment below. Garret Stembridge is part of the team at Extra Space Storage, a leading provider of self-storage facilities. Garret often writes about storage and organization topics for homes and for businesses. Home Damage: Should You File an Insurance Claim or Pay for It Yourself? 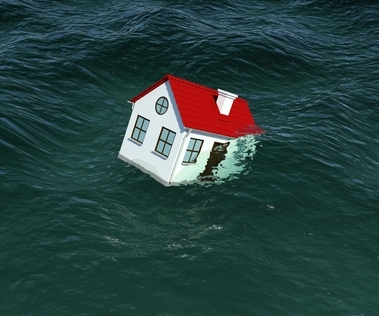 The average property claims settlement rose from $7,937 in 2012 to $8,517 in 2013, according to a J.D. Power and Associates study. The National Association of Insurance Commissioners reports that home insurance rates rose as well. Things like inflation and hurricanes have pushed the average annual premium up as much as 11.4 percent in places like Louisiana, and the national average premium has risen by 2.2 percent, to $822 a year. When homeowners are paying this much, many assume it's in their best interest to recover some of their money by filing a claim when they incur damage. But this might not necessarily serve you in some cases. Consider the pros and cons of filing before taking any action. Whenever you file a claim, you risk raising your premium. Nationally, filing a claim can raise your annual premium by an average of 9 percent, a recent Bankrate study found. In some states this is much higher—for example, in Minnesota and Connecticut, homeowners face a 21 percent increase. Over time, this can offset the money you gain from your claim. Visit InsuranceClaims.com for more information about the study. What's worse: Your insurance provider can decide not to renew your policy, and other insurers may refuse to pick you up. If your home and auto insurance policies are bundled, this could affect your car coverage as well. To reduce these risks, use caution when considering filing a claim. In certain situations, you may be better off finding other ways to cover your costs. For instance, if the damage was preventable and caused by negligence, your insurance company probably won't cover it anyway, so find another way to raise the money for repairs. You could tap your savings or emergency fund, or you may have to put it on a credit card. If you receive payments from a structured settlement or annuity, you may be able to sell all or some of your future payments for a lump sum of cash now. Visit J.G. Wentworth's FaceBook page for more information about selling your future payments. You're also better off covering the costs yourself in cases where your claim wouldn't significantly exceed your deductible. For instance, if you have a $500 deductible, a $600 claim probably isn't worth the increased premium. And in cases where someone else caused the damage, you may be able to get the responsible person (or his insurance provider) to cover it. In some situations—when the repair costs are exorbitant, for example—filing a claim is your best option. Make sure you follow the proper procedure to get the most out of your claim. Study your policy before an emergency strikes and know, for instance, whether your policy covers natural disasters. 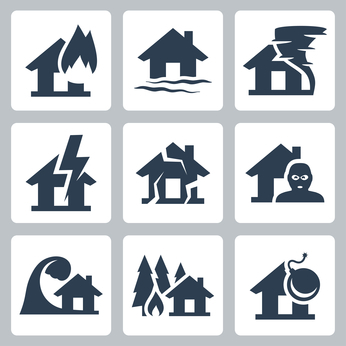 If you need to evacuate your home, ask your provider for an advance, and document any expenses. Take reasonable steps to minimize further damage to your property, such as calling the fire department. File your claim promptly and make sure your provider follows up. If you need to negotiate your claim, consider hiring a state-licensed public adjustor to help you through the process. Visit the National Association of Public Insurance Adjusters for a list of adjustors in your state. No one enjoys the process of moving, but we all have to do it at one time or another. Did you know that if you’re moving, or have already moved within one year of starting a new job, you may be able to claim moving expenses on your tax return. Even if you didn’t have a job lined up before moving, or you didn’t start a job right away after moving, you may be able to claim moving expenses. Take a look and see if you qualify for the sometimes overlooked tax deductible moving expenses and get your paperwork together now for faster and easier filing next year. Not everyone will qualify for this type of tax deduction, but the Internal Revenue Service has two basic rules. One is what it calls the “distance test,” which is a requirement that the new home is located at least 50 miles further than your prior work location was from your old home. If you did not have a workplace, or if you worked from home before the move, then the new job must be at least 50 miles from your old home. While this may sound a little confusing, IRS form 3903 has a simple worksheet that will help you figure this out. The second IRS requirement is the “time test,” which states that you must have had 39 weeks of full-time employment in the 12 months following the move. This is where things can get a little complicated, as a move late in the year wouldn’t leave enough time to have passed to meet the requirement before the tax year is over, and the deduction can’t be taken the following year. However, the IRS will allow you to take the deduction if you expect to work at least 39 weeks at full-time status following the move. If the year passes and you don’t meet the requirement, you can amend your tax return by filing Form 1040X, Amended U.S. Individual Income Tax Return. More simply, you could also report the amount deducted as income on the next year’s tax return as “other” income. Your employer transfers you at their request. You are laid off from the job for any reasons other than willful misconduct. The job ends because you become disabled. You meet certain requirements for retirees or survivors living outside the United States (see the IRS website for details if you’re living abroad). You are in the armed forces and a permanent change of station is behind the move. The form is being filed for someone who has passed away. Qualified expenses include three key areas of moving-related costs, but do not include any for which your employer has reimbursed you. Transportation and housing or lodging expenses for yourself and household members while moving from the old place to the new home can be eligible. The cost of meals during the travel is not part of the deal, however, but the rental of a vehicle may be included. Keep receipts for tolls, gas purchases, and hotel charges to apply to the deduction. Hold onto the receipts from any moving and storage companies you use, and even for any boxes you purchase, because the costs associated with packing, crating, and transporting your personal property and household goods can be deducted. You may also be able to include the cost of storing and insuring these items while in transit, and even costs associated with transporting family pets can be deducted. You can deduct the costs of connecting or disconnecting utilities if you’re charged any associated fees. Late fees and reimbursable deposits don’t count toward the deduction. Other fees won’t be covered, such as any part of the purchase price of the new home, or any costs of related to buying or selling either home, or homeowner’s association fees. Renters can’t deduct any charges related to breaking or entering into a lease, nor can anyone deducted other money lost, such as unused gym membership dues or other subscription services. Of course, none of this information is a good substitute for sitting down and talking to a qualified tax professional, and all of the information and links to the any of the forms you may need can be found at IRS.gov and in Publication 521, Moving Expenses.. Awards season (which is less a season than the half of the year between September and March) is upon us, and Indiewire is offering up our annual charts of predictions for the grand daddy of them all: The Oscars. It will be hosted by Ellen Degeneres. Check out our predictions for the winners of the 86th Academy Awards below, which will be announced on March 2nd, 2014 (and clearly updated regularly between then and now). Floods and extreme weather events have swept across the United States in recent years, with flash floods, tornados, and even water spouts in Baltimore. If flood waters have filled your basement and swept through the lower floors of your home, now is the time to pick up the pieces and make your house a home once again. It's overwhelming to look at everything that needs done to a house with water damage, but if you take it step by step, the process goes quicker. Touch as little as possible until the insurance company can document the damage. Take pictures of the damaged items and leave them in place for the insurance adjuster to check. If possible, find receipts, invoices, or other indications of value for your personal belongings so the insurance company knows exactly how much you lost in assets. Start the water damage cleanup in your home by unplugging electronics to prevent further damage from electricity. Turn off power to the water damaged areas unless electricians have already cleared it for use. Get the cleanup process started as quickly as possible. The faster you eliminate moisture from your home, the less mold you deal with later. Start before the 36-hour mark, as bacteria also develops in these conditions. Use a pump to remove any remaining water from the basement or other areas of your home. Run dehumidifiers to remove the extra moisture. Your HVAC unit is probably not designed to handle that much extra air moisture on its own. Hire professional contractors when you have flooding from big storms such as the ones that hit Maryland in the summer of 2013. Use contractors for sewage clean up, difficult standing water removal, electrical system problems, and plumbing issues. If you need to remove your carpets, flooring, subfloors and drywall, get a dumpster from companies like NextDayDumpsters.com to efficiently take care of your trash. Mold is unsightly and has long-term implications for your health. The Center for Disease Control reports mold may cause a variety of health problems, such as sore throats, skin irritation, major infections, and congestion. Use a bleach solution to clean up all moldy surfaces after they have been thoroughly dried. This solution needs 1 cup bleach to 1 gallon of water, and does not need to be stronger than that. If the mold is growing inside your walls, contact professional mold removers. Ok so this? This is the Brick. You may remember it from such places as Saved By the Bell and 1992. But this is 2014, and you can buy a brand new one. For real! 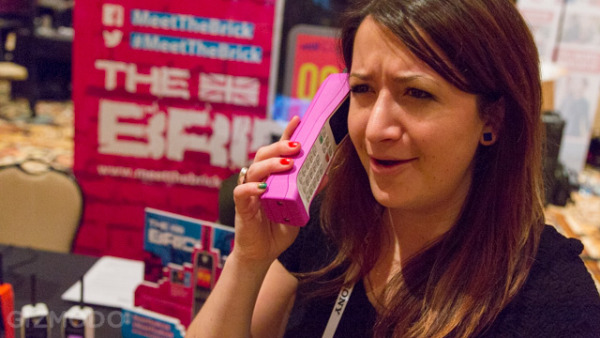 The brick is a two-way device, meaning you can either pop your SIM card in it and use it as your regular cell, or you can connect to it via Bluetooth. The base model ($70) has a whole month of battery life and the bigger version ($100) has a whopping three months of juice (haha, what?). 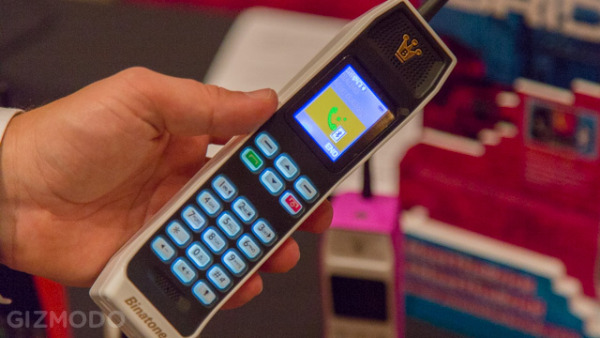 The retro device also doubles as a Bluetooth speaker. Also you can play Snake. Snake! Yes, maybe we have gone a little far with our 90s nostalgia, and no, there is absolutely no reason to own this. But I actually can't hate on the Brick too hard. It's downright ridiculous and you probably should not buy it. But something about the fact that it exist is fantastic! Sometimes fun for fun's sake is a good thing. 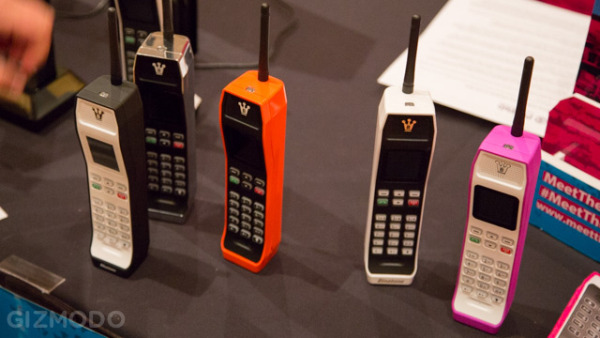 Also, I have made the argument many times that I want less of a phone, not more of a phone. Well, here you have it, straight from from the 90s. U.S. News evaluated and ranked the 32 diets below with input from a panel of health experts. To be top-rated, a diet had to be relatively easy to follow, nutritious, safe and effective for weight loss and against diabetes and heart disease. The government-endorsed Dietary Approaches to Stop Hypertension (DASH) snagged the top spot. DASH was developed to fight high blood pressure, not as an all-purpose diet. But it certainly looked like an all-star to our panel of experts, who gave it high marks for its nutritional completeness, safety, ability to prevent or control diabetes, and role in supporting heart health. Though obscure, it beat out a field full of better-known diets. Therapeutic Lifestyle Changes, or TLC, is a very solid diet plan created by the National Institutes of Health. It has no major weaknesses, and it’s particularly good at promoting cardiovascular health. One expert described it as a “very healthful, complete, safe diet.” But it requires a “do-it-yourself” approach, in contrast to the hand-holding provided by some commercial diets. This is the Mayo Clinic’s take on how to make healthy eating a lifelong habit. It earned especially high ratings from our experts for its nutrition and safety and as a tool against diabetes. Experts found it moderately effective for weight loss. With its emphasis on fruits and vegetables, olive oil, fish, and other healthy fare, the Mediterranean diet is eminently sensible. And experts' assessments of it were resoundingly positive, giving this diet an edge over many competitors. Weight Watchers is a smart, effective diet. It surpassed other commercial diet plans in multiple areas, including short- and long-term weight loss and how easy it is to follow. It’s also nutritionally sound and safe, according to experts. Among its pluses: An emphasis on group support, lots of fruits and vegetables, and room for occasional indulgences. The Flexitarian diet, which emphasizes fruits, veggies, whole grains, and plant-based protein, is a smart and healthy choice. It outperformed many of its competitors, with particularly high scores in nutritional completeness, easiness to follow, and long-term weight loss. One panelist noted that this diet is "a nice approach that could work for the whole family," and another described it as a "very good" plan. Volumetrics outperformed its competitors in many categories. It earned particularly high marks for being safe and nutritious, and experts said it could have a positive effect on heart health and diabetes. "This is an eating plan that everyone can benefit from," one expert said. Jenny Craig drew praise from experts for being easy to follow, nutritionally complete and safe, and for offering dieters emotional support. But these experts were lukewarm about its potential to bolster heart health or help diabetics. Experts also noted that Jenny Craig’s cost could be a roadblock for some. The Biggest Loser diet received high marks for short-term weight loss, safety, and soundness as a regimen for diabetes, and it was rated moderately effective for heart health. But many panelists felt that in a sea of diets, it’s not overly special, and one said it's merely "capitalizing on the name" of the popular TV show. The Ornish diet got a mixed reaction from experts. On one hand, it’s nutritionally sound, safe, and tremendously heart-healthy. On the other, it’s not easy for dieters to adhere to the severe fat restriction the diet demands. The Asian diet is a reasonable choice for an eating pattern, landing around the middle of the pack of ranked diets. Experts handed out high marks in nutrition and safety, but doubted the plan’s ability to deliver short- or long-term weight loss. As a health diet, vegetarianism is solid. It's decent at producing rapid weight loss, according to experts, and is strong in other areas, such as heart health and nutritional completeness, that arguably are more important. While the Anti-Inflammatory diet itself is nutritionally sound, experts expressed concern that it’s needlessly complicated, lacks supervision or feedback, and boasts unsubstantiated claims like the benefits of supplement use. "Most Americans would benefit from adopting many of these principles, especially increasing fruits and vegetables," one expert said. "What is lacking is scientific evidence that this diet will reduce inflammation in the body and that weight loss results from following it." Slim-Fast is a reasonable approach to dieting, experts concluded. It outscored a number of competitors on weight loss and as a diabetes diet, and being highly structured, it’s fairly easy to follow. But it scored lower than many other diets on heart health. In its Best Diets debut, the Spark Solution landed in the middle of the pack, receiving 3.3 stars overall and tying with Dr. Weil's Anti-Inflammatory Diet and the Slim-Fast Diet. Panelists believe the Spark Solution will lead most dieters to weight loss, given it's tried-and-true principals of well-rounded meals, calorie reduction and exercise. A few experts pointed out that the diet is "not particularly novel," and even more were not convinced of the long-term benefits of the Spark Solution, given the super structured plan only maps out dieters' first two weeks of the plan. The Flat Belly diet landed in the middle of the pack because most of its scores from the experts were right around average. It did get high marks in safety and nutrition. Nutrisystem sits near the middle of the standings. It's quite safe, easier to follow than many other diets and has few nutritional deficiencies, according to experts. As a heart diet, it's off the mark. The experts found the Abs diet moderately effective for quick weight loss and middle of the road in most other respects. They took issue with the company's claim that dieters can drop up to 12 pounds of belly fat in two weeks and questioned the evidence behind some of its tactics. Experts handed out a below-average 3 stars. Though they acknowledged its benefits for heart health and diabetes control and prevention, they faulted the Engine 2 diet for being unnecessarily restrictive and "gimmicky," and called for more research into some of its claims. "I fail to see anything unique, innovative, or useful with this diet," one expert said. Although the South Beach Diet earned positive ratings for being able to produce rapid weight loss, its restrictions can make it difficult for dieters to keep the pounds off, experts said. Most were less enthusiastic about its ability to combat diabetes or heart disease. Overall, the health experts were lukewarm on veganism despite giving it fairly high marks as a diabetes or heart disease diet. It is extremely restrictive, doesn’t offer built-in social support, and may not provide enough of some nutrients. One expert summed up Eco-Atkins as a "healthier version of the Atkins diet, but compliance is likely to be more difficult." That's because it’s restrictive and little guidance is available. Experts were less than impressed with the glycemic-index diet, which distinguishes "good" carbs from "bad." They scored it particularly low on long-term weight loss, heart benefits, and ease of adherence. Although the diet's ratings in nutrition and safety were relatively strong, they couldn't push the diet out of the lower third of the pack. The Zone Diet lagged behind higher-ranked diets, if not always by much, in nearly all ratings categories, including weight loss, how easy it is to follow, and its effect on diabetes and heart health. It's "unnecessary and tedious to structure every meal around specific macronutrient thresholds," according to one expert; another stated there is "no magic with the diet." Experts gave little credence to the Macrobiotic diet on several counts: Following the plan is a challenge. It's an extreme change from the standard American diet. And it's awfully strict. The macrobiotic approach, one expert summed up, is "a mix of sound dietary guidance, mysticism, folklore and nonsense." Experts were likewise unenthused about Medifast. It scored above average in short-term weight loss but was dragged down by lower marks in most other categories. Experts weren't impressed with theAcid Alkaline Diet, which received mediocre marks in all categories. It performed particularly poorly in areas like overall weight loss and easiness to follow. And don't expect it to have a positive effect on diabetes or heart disease management or prevention. The diet is "ridiculous and poorly researched," one expert said. "It's not based on science." The widespread concern among experts about the diet's lack of nutritional guidance on non-fasting days contributed to its poor overall performance. The Fast Diet earned just 2.5 stars, putting it toward the end of the pack, outranking only the raw food, Atkins, Paleo and Dukan diets. "The red flags are no restrictions on non-fast days and no guidance on what constitutes a healthful eating pattern," one expert said. "This could lead to poor food choices or lack of portion control on non-fast days." Many of our experts found the popular low-carb Atkins diet leaves much to be desired, at least as an all-purpose diet. Although our expert panel concluded that it could outperform nearly all of its competitors in short-term weight loss, unfavorable marks in other measures -- including long-term weight loss, nutrition, safety and heart health -- yanked down Atkins in the standings. The experts conferred solid marks on the raw food diet for weight loss, both short- and long-term, but considered it all but impossible to follow and its nutritional completeness and safety were concerns. "Doing it well involves considerable commitment and effort, knowledge and sacrifice," one expert said. "And there are diets that require less of all these that are likely to be just as healthful." Experts sent the Dukan diet to the bottom, handing out dismal ratings in nearly every category. Its overall score was more than a full star below average. It’s too restrictive, with lots of rules, and there’s no evidence it works. One expert described the diet as "idiotic." Experts took issue with the diet on every measure. Regardless of the goal -- weight loss, heart health or finding a diet that's easy to follow -- most experts concluded that it would be better for dieters to look elsewhere. "A true Paleo diet might be a great option: very lean, pure meats, lots of wild plants," said one expert -- quickly adding, however, that duplicating such a regimen in modern times would be difficult. If you want to lose fat in 2014, how about we do it together? I need to work off some Danish butter cookies. Last year, the Lift team helped me test The Slow-Carb Diet® with 3,500 readers. The result: 84% of people lost weight and the average weight loss was 8.6 pounds over four weeks. Many people lost more than 20 pounds. This didn’t surprise me, given thecase studies of people who’ve lost 100+ pounds. Working alongside UC Berkeley, Lift is now launching the largest study of popular diets ever performed. You can choose from 10 different diets (Paleo, vegetarian, gluten-free, etc. ), and the study includes control groups and a randomized trial. The Slow-Carb Diet is one option. Download the Lift app for goal tracking and motivation. Lift now has Android and web versions, along with the original iPhone version. Visit the Quantified Diet homepage to choose your diet, or to be randomly assigned to one. If you choose the Slow-Carb Diet, join the community at 4HBTalk orReddit for support. I will pop in every once in a while to check things out. I’ll be following the diet with you, in addition to using biochemical cocktails I’ll share later. If you want the full monty, get The 4-Hour Body. You can lose a ton of weight without it, but the details in the book will prevent you from stalling and make everything faster. A year ago, we ran 3,500 readers of Tim’s blog through a four-week study of the Slow-Carb Diet, tracking their progress through Lift. The results were amazing: 84% of people who stuck to the diet lost weight and the average weight loss was 8.6 pounds over four weeks. Those stats are crazy, right? Some people lose 100+ lbs going Slow-Carb, but I never dreamed that people’s success rate would be so consistent. After seeing the results, I wondered whether people fail to adopt healthy habits due to lack of independently testing. Getting people to change isn’t just about giving good advice; it’s also about giving them confidence in the advice. Our study showed that Slow-Carb definitely works. But what about the rest of the diet world? Tim is unique, in that he had the vision and the guts to put his diet to the test. Very few (probably zero) other diet authors have tried this. What if we could replicate this on an epic scale with other approaches? Real objective data? Unfortunately, academia doesn’t move fast enough to keep up with popular diets. By the time a study comes out, we’ve all moved on to the next thing. The research that we did on The 4-Hour Body was pioneering in its speed. Tim and I conceived the study in October, ran it in November, and published the results in December. Taking that rapid, crowd-sourced approach to diet experimentation would be like dropping a nuclear bomb on the existing diet industry. This sort of research could completely change our notion of what works…and for whom. Our UC Berkeley advisors had just one concern: we had to get more rigorous about our experimental design. This second study, which we’re calling The Quantified Diet Project, includes a comparison of ten different approaches to healthy diet, a control group, and another group going through a randomized trial. With your help, we can start getting scientifically-valid measurements for all popular diet advice. What works and what doesn’t? The results might surprise you. When you join, you’ll be presented with ten approaches to healthy diet, along with two control groups. All of these approaches have been vetted for healthiness, but you’ll have a chance to opt out of any that don’t fit your lifestyle. And, of course, if you are a strong believer in The Slow-Carb Diet, you can go straight to that option (Slow-Carb obviously works). This is a chance to lose weight, increase your health, boost your energy, and make a real contribution to science. Join the Quantified Diet Study today! It could change your life and change how scientific studies are performed. Win-win.